A more global rollout of the Mobile-First Index in Google is apparent. This past week, site administrators saw an influx of mobile-first indexation notifications from Google Search Console (begins at 1:53). We take a deep dive into a simple, yet often overlooked concept of content organization and taxonomy based on how your customers actually buy from you. Does your site actually reflect this, and can it have an impact on SEO? (begins at 11:33). BlackTruck’s master account in Search Console was suddenly inundated with notices that mobile-first indexing was enabled for a ton of the sites we manage. Google announced the beginning of the roll-out in March, which we discussed in Episode 40. This recent and large batch of notices, which for sites we manage began on the 18th and concluded on the 20th, was confirmed by Search Engine Land to be happening across the internet. We’ve been hearing about the mobile-first index for a while, and talked about it frequently. and it’s exactly what it says it is. The way your website presented for mobile users, and all the details that go into how your site is set up for mobile, is what is being crawled and indexed to ultimately be ranked by Google. Google is stating that being moved to the new index shouldn’t affect your rankings, but more than likely you’ll see a blip, especially if you have a site that you’ve not worked to format for mobile in quite some time. Here are some tips and notes from Google on what to expect and what you can do: Clarifications on Mobile-First Indexing. If you have a mobile version of your website, with mobile URLs (“m.yourwebsite.com”), Google will show that to mobile users, and the desktop site will be shown to desktop users; however, the indexed content will be the mobile content, regardless of it being viewed on mobile or desktop. There is no requirement for your site to be “mobile-friendly” or “responsive” to be included in the new index. In actuality, the first sites to be shifted to mobile-first indexing were desktop-only sites. A site’s responsiveness and mobile friendliness are still ranking factors, but are not requirements for the mobile-first-index..
As long as your site is responsive, you’re in good shape. But if you’re not sure, take a look at how things are rendering in the mobile environment. And if you’re in the unfortunate position where your large site has a desktop version, a mobile version, and even a tablet version, that are completely separate, hopefully you’ve already created a plan for adapting your site for the mobile-first index. So there you have it. We’ve been talking about the mobile-first index coming, and now it’s here for even more sites. Google told us, and they’ll tell you, too: Check your inbox, check your Google Search Console messages, and be prepared to see some blips in your rankings in the coming weeks and months. As a note: The Speed Update that Google had back in July was not related to this mobile-first indexing, but making your site fast will directly help rankings regardless if mobile or desktop. 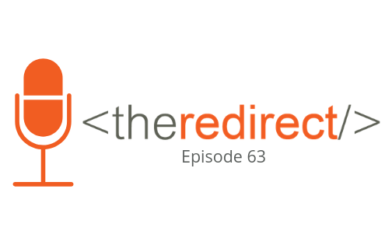 Redirect Podcast Episode 29: What is Google’s Mobile-First Index? When planning a new site, or restructuring an existing site, how do you go about determining how your products, services, solutions, or ideas are presented? How do you decide what to call different product groupings or subjects on your site? These concepts may seem very basic, but these can be some of the hardest questions to answer while developing a strategy for organizing a site. Another question: Is the website’s content structured—both in navigation and on the page—in a way that your current customers and key stakeholders know how to find what they need? Is the information presented in a language they understand and use themselves?